Cambodia and Vietnam are resplendent countries full of culture and color, where the Mekong River offers an exceptional vantage point from which to take in the ancient sights. Take part in a lesson on Buddhist prayer with monks, or a guided tour of local food markets. 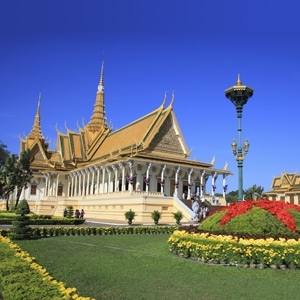 Between the rice paddies of the Mekong Delta and the elegant French colonial capital of Phnom Penh in Cambodia, a mixture of magical temples, wild forests, time-honored traditions and vibrant cities scatter the exotic land. Scenic Spirit offers a truly all-inclusive experience with intimate spaces, all balcony suites to complement your adventures. Fares as low as $4,395 and Complimentary WiFi, Gratuities and More! Complimentary WiFi, Gratuities and More! Fares shown are per person based on double occupancy, lowest available suite, cruise only and in US dollars. Fare is subject to change and availability. Scenic reserves the right to increase/decrease tour prices at any time before your booking is confirmed. 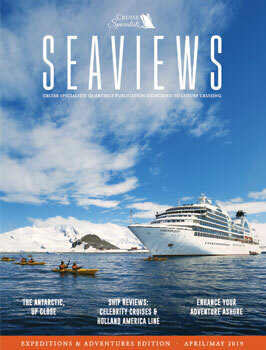 Price includes all coach and cruise travel; the services of a Cruise Director (if applicable) and/or Tour Director; airport transfers outside of the United States; meals while on board and/or specified by Itinerary; accommodation; sightseeing and admissions, where stated; port charges; all gratuities and tipping on land tours and river cruises operated by Scenic; and any other specific inclusions identified in your Itinerary. Price does not include additional optional activities; accommodation upgrades; meals not specified in Your Itinerary; passport fees; visas; vaccinations; medical assistance; government taxes and charges or any items or expenses of a personal nature. Other restrictions may apply. We reserve the right to correct errors.